If you’re an author and you haven’t yet started your Instagram account, it’s time! It’s still the fastest-growing social media platform, often used daily (if not multiple times a day) by its users. In addition, Instagram has hundreds of millions of active users per month, and fully one third of those users have purchased something they first discovered on the platform. Those are some compelling statistics! Instagram allows you to reach more women, and younger women especially, but it’s used by everyone, everywhere. That means it’s a wonderful way to find your readers by using it to share your story. So how do you use Instagram as an author? When you work with words, what does it mean to share photos instead? It doesn’t have to be photos of you! Many authors are reluctant to share photos of themselves online. Some because they’re introverts, and others because they want to maintain a little separation between their work and personal lives. And that’s okay! You don’t have to be taking selfies constantly to have a successful Instagram account. Make it about what you love. Do you love giving advice to other writers? Do you love going to conferences? Do you love breakfast foods? Or maybe hiking is more your speed? No matter what you love there’s a way to tie it back to your writing career, and your audience will notice when you’re sharing something you’re passionate about vs what someone told you to post. So post photos of what you love as it happens, including images of inspirational quotes you’re finding helpful in the moment, or your fans at a reading, or a meal inspired by your book’s characters, or your new book on the shelf at a store or on a reader, or meeting other authors you admire. The possibilities are endless! Promote what you’re doing, but don’t make it about that exclusively. The best author Instagram accounts absolutely share information about their latest projects. They might share award wins, or photos from readings, or the proofs of their newest book, or information about a beloved character, but they don’t exclusively do that. They also mix in posts that are about their process, or their lives, or their community, and those accounts are the richer for doing that, and better received. Leverage your author brand. Whether your books are fanciful, or thrilling, or mysterious, or hilarious, make sure your Instagram posts follow suit. 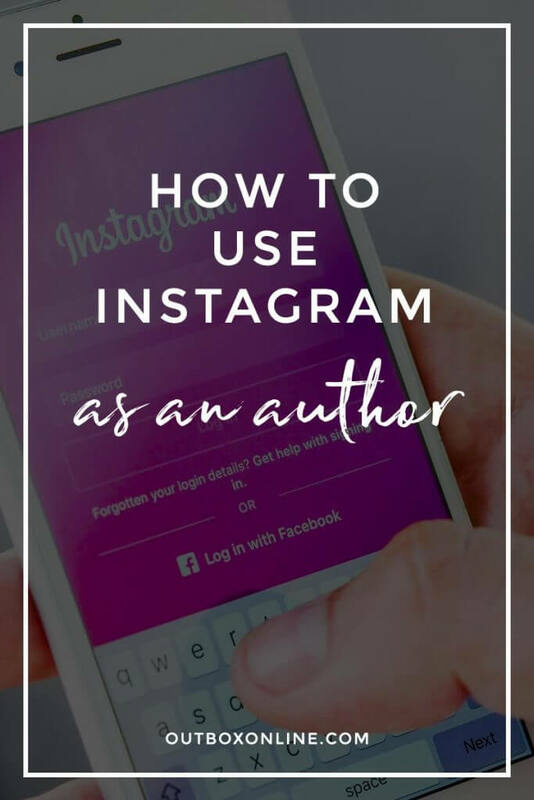 Continuity between your writing and your author platform is important, and since Instagram is a visual medium, you want to make sure you have a plan for how to extend your author brand visually. Make it easy on yourself. If you need to spend a bunch of time staging each photo and worrying about the perfect shot, let’s face it, you’re unlikely to stick with it on any kind of schedule that will get you traction. I’m not saying you should phone it in, but I am saying that when you think about the kind of content you want to share, factor in that something easy for you to do is much better than something really complicated. The best time to reach the most folks tends to be during the commute home (5-6pm). When you start your new account, tell your other channels about it and encourage your audience to follow you there. Get to know your hashtags. See which ones are commonly used by authors (especially successful authors), and what the search results are like for each. These accounts resonate with me because they’re engaging with their readers in an honest way, sharing stories of their lives as authors, and allowing us to get to know them a little bit as people so when their next book comes out, we’re ready to read it. And that’s what every author wants! Author website designer Kate McMillan specializes in author websites for authors, publishers & book promotion that are clean, easy-to-use, and goal-oriented so that her clients have a successful platform to support what they love to do. With many years of experience, Kate not only creates beautiful, easy-to-use, fresh designs, but also helps you make strategic decisions about your whole web presence, soup to nuts. If you're interested in talking with Kate about your project, get in touch with her to schedule a chat. Author website designer Kate McMillan creates websites for authors, books, editors & publishers that are clean, easy-to-use, and goal-oriented so that her clients have a successful platform to support what they love to do. If you’re interested in talking with Kate about your project, get in touch with her to schedule a chat. *Disclosure: The links to Bluehost & SiteGround on this site are "affiliate links." This means if you click the links and purchase something from either company, I will receive an affiliate commission. Despite this, I only recommend them because I use them personally for myself and my clients and I believe they will be great solutions for you. © Outbox Online, LLC. All Rights Reserved.